Today: Why you should seek out international grocery stores to introduce new ingredients into your kitchen. Maybe you already have your favorite grocery store -- the kind of place where you know exactly where the trail mix is and how many people you'll have to knock out of the way to get to it -- but today I'm going to encourage you to shop at international grocery stores. You might save a few extra bucks and, more importantly, you will expand your knowledge of different types of rice, balk at the sheer number of ramen varietals, and buy a few sodas you've never heard of before. 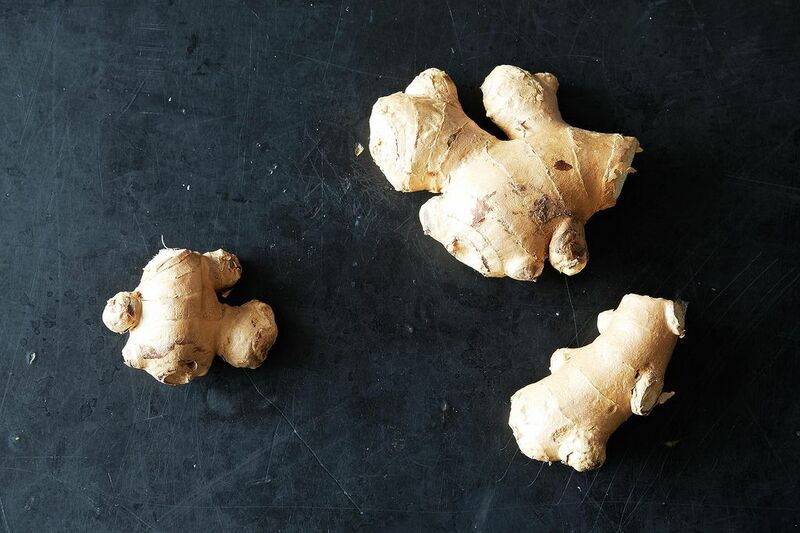 You already know how to use this guy, but you'll be (pleasantly) surprised by the varieties you can find beyond the international food aisle of your local supermarket. 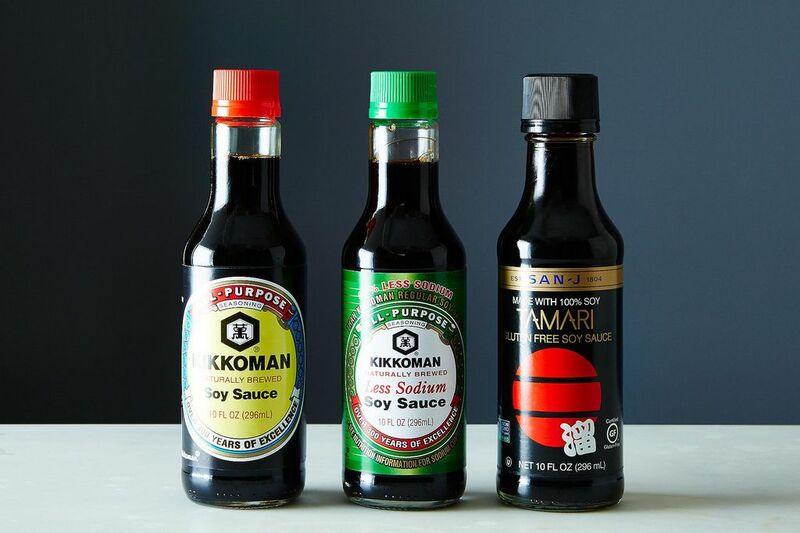 Darker soy sauces tend to be less salty and pungent than their lighter cousins. I like double dark Chinese soy sauce, which is thicker and slightly sweeter than the soy sauce of sushi restaurants. Kecap manis, a thick, sweet, and syrupy soy sauce, is a key ingredient in many classic Indonesian dishes (and if you're feeling like nasi goreng is too ambitious of a project, it will even make a nice addition to your grain bowl). Mirin, a sweet rice wine with low alcohol content, is a great addition to your pantry. I keep some around to add a touch of sweetness to Asian-influenced dressings or broths or to toss on root vegetables before roasting. I've already waxed poetic about fish sauce, but at international stores, you can also find types derived from different sea creatures like squid, anchovies, or crab. If you're bored with your typical rotation of hot sauces, try Korean gochujang, Georgian ajika, or Chinese la jiao jiang. Most international grocery stores offer good deals on whole spices. Take this opportunity to grind your own spices: Yes, it is actually worth the hassle and the $10-cost of a cheap coffee grinder. Make sure to toast your spices first to get the most flavor out of them, then become your own spice merchant and create some custom mixes. I always put some whole chili peppers, mustard seed, cardamom, star anise, whole cinnamon, and cumin in my cart, which prepares me to make pho or curry paste or spicy hot chocolate at the drop of a hat. More: You already have a spice grinder? Good for you. Here's how to keep it in tip-top shape. Your kitchen should never be without garlic, but you should try out black garlic for an umami-packed punch. Try adding it to hummus for a new take on your favorite dip. If your greens repertoire is stuck in an endless loop between kale and more kale, take a stroll through the produce section. 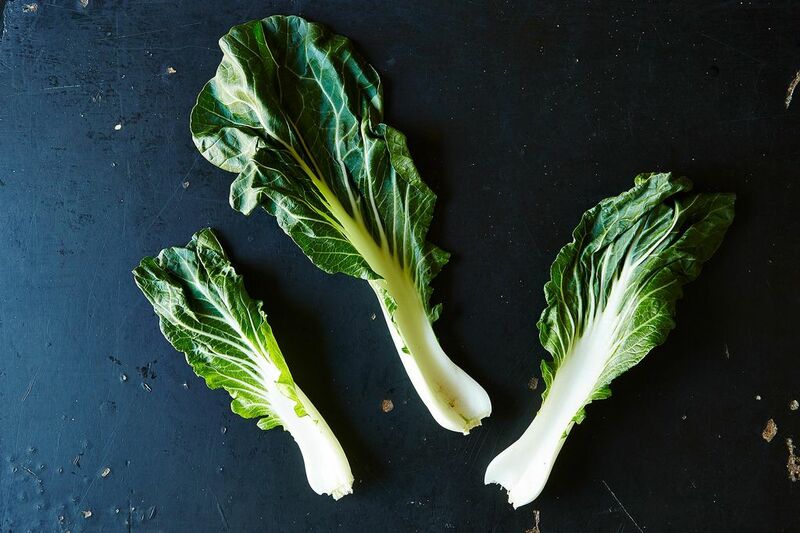 From bok choy to shiso to tatsoi, you'll emerge inspired. Try out produce that you might not have tasted before. Peel a pomelo instead of an orange, roast Japanese yams instead of sweet potatoes, churn some prickly pear ice cream rather than your usual strawberry, fry thinly-sliced jackfruit instead of potato, or add yuca to soup in place of squash. 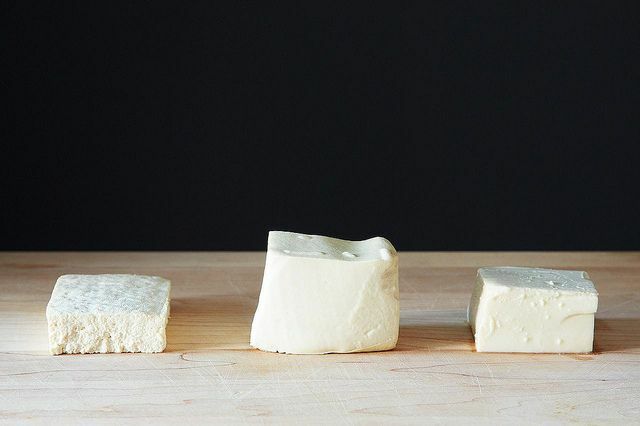 Not only is tofu typically less pricey at international markets, it's also more diverse. In addition to firm and extra-firm, you can find soft tofu, silken tofu, and even tofu skins (yuba). Read up on how tofu is an excellent source of protein and a broke kitchener's best friend here. You may think that homemade dumplings are unattainable. You haven't met pre-made dumpling skins. They come in a dizzying arrays of colors, shapes, and sizes and are waiting to be filled with chicken, shrimp, or lamb. Seek out labneh, a strained yogurt cheese, and use it to make a tangy tart, or simply eat it by itself, topped with jam. And once you're addicted, start making your own. While you're in the refrigerated section, pick up some paneer and kefir, too. 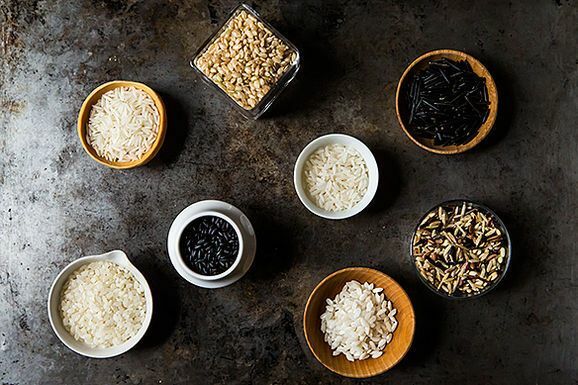 Stock up on fresh and dried rice noodles in all shapes and sizes for homemade versions of pad Thai or drunken noodles and impromptu rice noodle salads. Thick, chewy, fresh udon noodles are one of my favorites; you'll typically find them in the refrigerated section, neatly wrapped and ready to be added to chicken soup or tossed with a spicy chili-garlic sauce. While you're there, pick up some bright yellow ramen noodles; I typically prefer the fresh, refrigerated ones, as the dried ones are often flash-fried. Then you can make ramen at home and pretend you just whipped up the noodles like whatever. Sushi rice is the kind of rice I want to be eating all of the time. Not only is it always perfectly sticky and chewy, but I also seem to have better luck cooking it than other varietals. It's also the perfect bed for your curries and stir-fries. I've even heard tell that you can use sushi rice in place of Arborio for risotto, since they're both so starchy. I've used sushi rice, with great results, in Marcella Hazan's smothered cabbage soup. Next stop: rice pudding. If you haven't tried sticky rice with mango and coconut cream, you haven't truly lived. 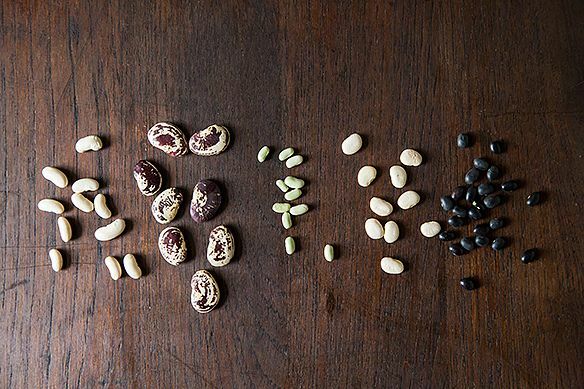 There's a whole world of beans beyond the bulk food bins you're familiar with. Buy dried mung beans and urad dal (otherwise known as black gram), then combine them with some specimens that might already be lingering in your pantry -- kidney beans, chickpeas, and black-eye peas -- in this spicy 5 Bean Curry. Don't forget to sample the sweets you might pass on your way out. I don't leave a Middle Eastern market without a square of sesame halvah, and I always make sure to pick up a variety of laddu and burfi when I'm at the Indian grocery store. International markets are also great for experimenting with new types of loose tea. 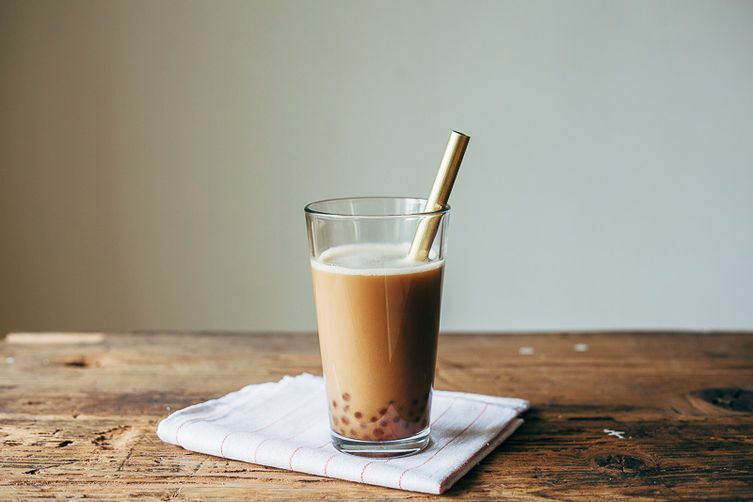 They're also the places where you'll find tapioca pearls and bubble tea mix, setting you up to make your own bubble tea at home. What do you stock up on at the international grocery store? Tell us in the comments! Mushrooms (dried) at the Asian grocery store are cheap and come in many varieties. The Asian market in my city also has amazing prices for shallots! Comparable to regular onions! I always stock up when I go. If you toasted the spice, put it in fridge (or freezer), not pantry. 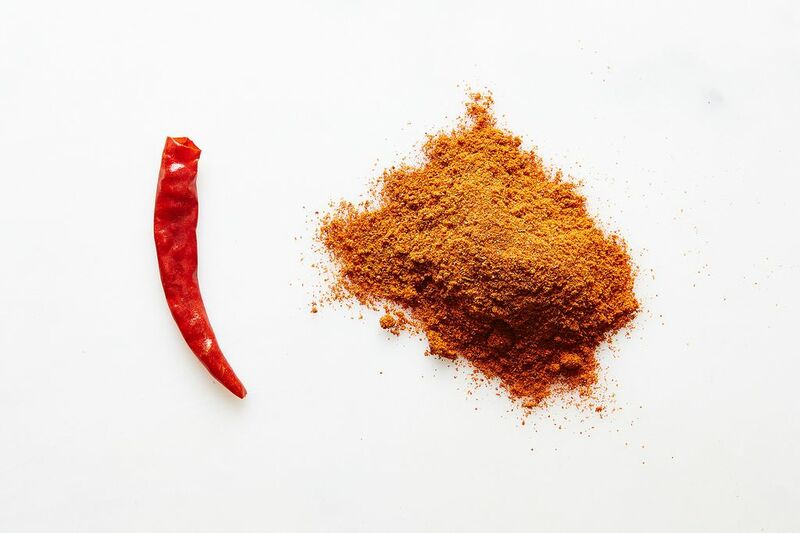 Toasted spice will lose their flavor and smell much faster than raw spices. That's why many Asian recipes that dry roast their spice only do so right before cooking. I have an ancient, small, cast iron skillet that lives on the small burner of my stove. I toast spices immediately before i use them. It takes less than a minute, and no storage option is necessary. If you are toasting spices and then storing them...stop. Nice list. Asian markets offer the same items, but way cheaper than supermarkets. And fresh noodles are incredible. Buuutt…. 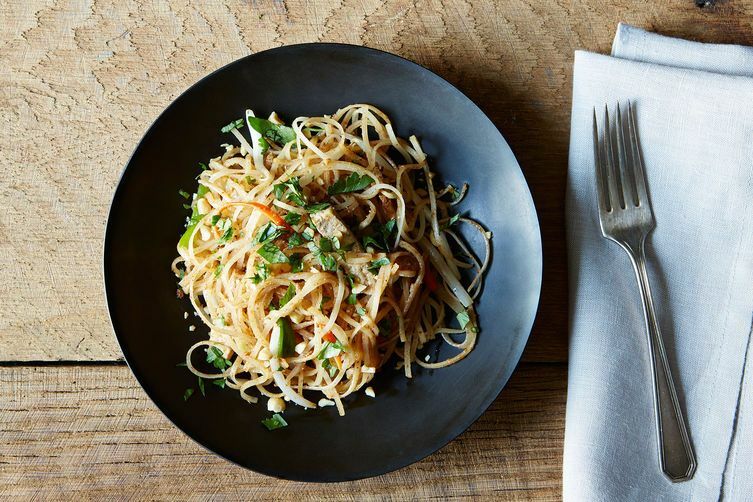 fish sauce is fish sauce -- anchovies. Squid and shrimp are brand names, not ingredients. Maggie ;) yes. Do you have favorite stores to recommend? Nice to meet you Nancy! I no longer live in Toronto but Kensington is such a wonderful resource for fresh food and ethnic ingredients. I used to shop at the large T&T Supermarket that was in the Annex... not sure if it's still there! So many places in ChinaTown to go in and explore... I spend hours there! Here in London Ontario we have United, and Superking (I believe there is one in North York), and some smaller ethnic stores. I'm often amazed at what you can find in discount grocery stores like Food Basics. The No Frills in Dufferin Mall has some good cheap things. Depends on the demographic of the location, you can really find some treasures if you take the time to hunt around! I buy tea at a vietnamese market near me. I also recommend checking out the fruits. I plan on takling a jackfruit tomorrow and Durian in a week or two. ooh, are the Jackfruits back in season?, I need to definitely make a trip then. THanks! After spending 11 days in Vienna and 11 Days in Budapest, I always keep Szeged Sweet and Hot Paprika in my kitchen. Also, smoked Paprika. I can re-create the wonderful dishes that ate in that beautiful town just after the Iron curtain fell. An American friend who had lived there for about 9 months, showed us around the town and where and what to eat. Pure Heaven! I've had great luck wandering the aisles of New Leaf Asian Market here I SWFL. But the biggest surprise I came across was Cafe DuMonde coffee, of New Orleans fame. It's my husband's favorite! In San Francisco May Wah grocery has an aisle or at least a section for every Asian cuisine. Not to mention the meat market where you can get various offal, pork blood and black chickens as well as other hard to find fish and meats. Just a block or so away is Kamei restaurant supply where the diversity of utensils, sundries and dishes is only surpassed by the awesome prices. Been shopping there for years. These are real SF gems. This Richmond district Chinatown is much better than the touristy Chinatown in the financial district. Go! Now! I find the best dates. They make a great snack. Love this article, and the comments from so many people. I can't wait to try some of these suggestions. I live in a small town, any way to order some of these things online? Amazon has lots of ethnic condiments and sauces. A Very informative article. Thanks. Frozen dumplings come in more varieties at Asian markets, and at Chai Market in Birmingham, Ala. I scored what must have been the restaurant pack of frozen pork and vegetable dumplings. $9 for an unmarked bag of 30+ dumplings. I live in Washington DC now and go to one of the many Asian supermarkets Northern Virginia now. I stock up on gai lan, or Chinese broccoli, and the many forms of bok choy. You'll also find basil, the more hardy form that you get with your bowl of pho at a restaurant, in abundance. It makes a delicious winter pesto, but it tends to have more of a licorice fragrance. Don't forget the prepared foods. The Super Oriental Market in Birmingham, and many others, have roasted chicken, pork and duck available. I think Great Wall Supermarket has a buffet with a ridiculously cheap lunch deal. I think it was like $4.99 for three dishes. The foot-long savory doughnuts and mapo dofu, in addition to the Asian folks eating lunch there, suggested that this grub is authentic. I get Japanese washcloths there. I can't remember their brand names. Just look for the yellow, pink or blue gauzy plastic cloth in the plastic bag. I've been using them for years; they last forever, dry quickly, make mounds of suds and exfoliate like nobody's business. Those bath poufs and loofahs are condos for bacteria. Throw them away and get a Japanese washcloth. In the larger markets in northern Virginia, in the back near the produce you will likely find a large selection of produce that has been discounted because it's past prime. Grab it! It's a great way to try a new vegetable. Finally, these stores are great places for rice bowls, which I also use to serve dips and sauces when I'm entertaining. The kids' bowls have cute illustrations and sayings, and the adult's bowls are beautiful with various colors and details. You'll also find a better and cheaper variety of bamboo skewers, chop sticks, Thermoses,woks, rice steamers, granite bowls (for bi bim bap) and insulated lunch boxes. Taramasalata, a variety of fetas, and stuffed grape leaves make our shopping trip worthwhile. Cooking ingredients for a variety of recipes are so much easier to find there. Utensils are also great to browse in international markets. Idlis (a steamed rice dumpling, typically served at breakfast) are one of my favorite foods from South India. I'd made them a few times, covering a muffin tin with foil and placing it in a water bath in the oven. But the last time I was at Patel Brothers (Rt. 40 outside Baltimore), I bought an idli stand that inserts into a pot to achieve the authentic shape and texture I get in India, along with idli mix, of course! I can also find the clove toothpaste, sandalwood soap, and incense I used to carry back from my trips to India. The green chilies called for in Indian cooking are a hit-or-miss item at my local supermarket, but they're a staple at the Indian store! Kimchee, spices, noodles, some meats (thinly sliced pork and beef), very fresh chicken and duck and of course vegetables. Some ready made meals, like wonton soup and those little pork-bone-in morsels of goodness. The little egg custard tarts are wonderful. Ed Hyder's Mediterranean Market in Worcester, MA supplies herbs and spices to many of the city's restaurants, so they are reliably fresh. In addition to those, I never leave without a chunk of Dodoni feta and a stack of lahmajun (thin Turkish bread spread with a meat/tomato mixture) and lebaneh, of course to go on the heated lahmajun, and, and, and. OMG some of everything! Sounds like the Mediterranean Bakery in Alexandria, VA (Pickett St). Great selection of herbs and spices that are fresh and priced well. A full array of olives and feta cheeses (others too). The bags of warm pitas are snapped up immediately by people who know when to arrive. Great dessert pastries and both vegetarian and meat pastries too. A tightly packed treasure trove that shouldn't be missed. St. Louis has some of the best international grocery stores I've found (I've lived in NY, Chicago and DC, so that is saying something!). Here's what I get: Powdered coconut milk. Daifuki (a Japanese sweet), longam (Asian fruit), English teas and sweets, Ginger salabat, big bags of lentils and rices, baby bok choy and baby cukes, Asian eggplants, spices, Russian pickles (the closest I can get to good half-sour pickles), kimchee, lefse, farmer cheese, South African, Japanese, Indian and Jamaican curries, halvah ... I'm sure I'm missing some things. Every so often, I just like to go and troll the aisles, and see what's there. It's amazing. Christmastime is especially fun - the big international store stocks all sorts of European Christmas goodies. Folks that live in the DC area should also include the Ethiopian markets! Awaze and berbere and injera! So hard to find anywhere else! Maddalen, I live near St. Louis, can you give some names of the international grocery stores there? Hi Darby - my favorites are Global Foods, in Kirkwood and Seoul Mart on Olive near West County. Global Foods has the broadest range of foodstuffs from all over the world. Seoul Mart, as its name would imply, is basically Asian and primarily Korean. One item I did forget - toasted nori sheets. Single packages are $5.00 in Whole Foods, and a 10-pak at Seoul Mart is $2.99. Can't be beat! United provisions in u city is great! Jay International on grand (owned by the same family). And for Italian groceries I love Viviano & sons in the hill. Names and Locations? I live in Columbia, MO but occasionally go to St. L and would like to shop these places. Can you name a few? Oh, when my comment posted I saw the other comments and see you have already named the places. Thanks. chickpeas. It is spicy so go slow when adding to recipe.